In this episode we pause to celebrate the enduring career of national treasure Mariah Carey. Everyone on this podcast knows how magnets work. 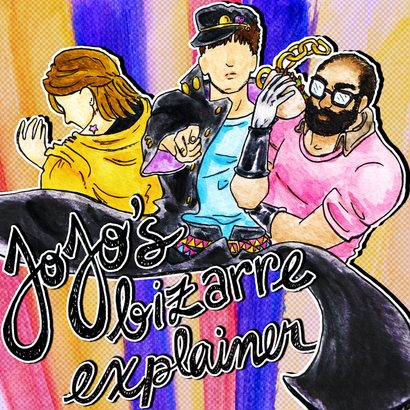 Joseph Joestar doesn't ALWAYS have waking gay panic nightmares, but when he DOES...they're absolutely ridiculous. Everyone misses Kakyoin, especially the fact that he has that sweet sweet long distance attack. And please send all fanart demanded on this podcast to JJBX, The Pirate Club, Ogre Street, London, England.